The phantasmagoric nature of the Sandman's realm permeates the design of the Dream deck. The blurring of boundaries between the real and the imaginary is captured by clever blending of contrasting elements which seems, at the same time, both natural and unnatural. Dreams are mysterious. Dreams are fantastical. Dream have infinite possibilities. Dream V2 retains the absolutely essential design elements of the original Dream Playing Cards to create a minimal yet balanced deck with high contrast card backs and a color scheme that blend well in motion. 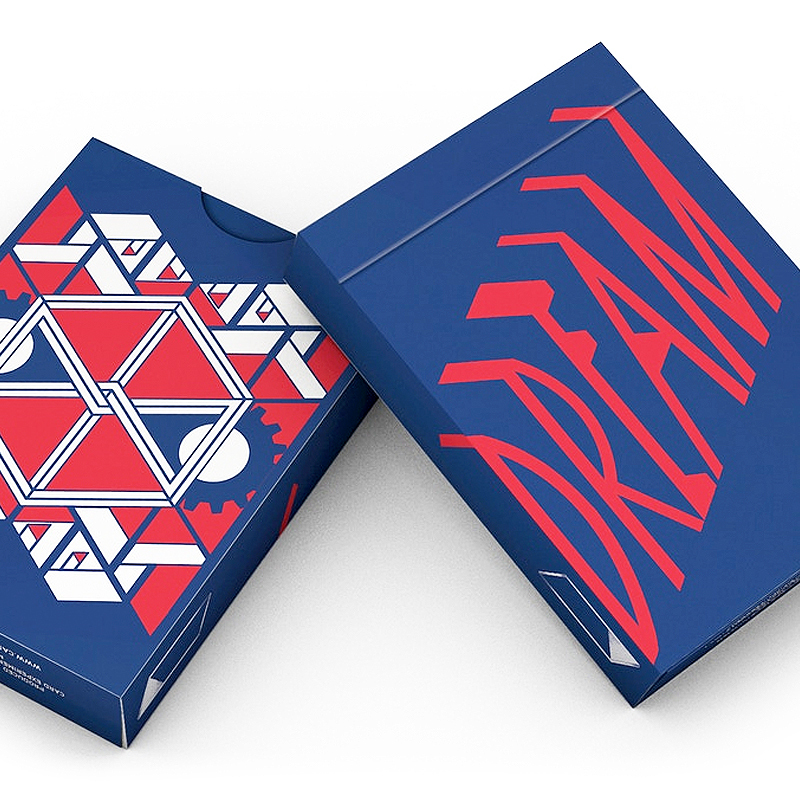 Dream V2 is both aesthetic and functional for cardistry, magic and card games. - Manufactured by The United States Playing Card Company. Made in USA. - Printed on premium-quality Crushed Bee paper stock with Magic Finish. - Traditionally cut. • The cards are poker size.